A bit late in the day/season, but I'm finally uploading a post! My trapping has unfortunately been a bit non-existent this year, but here are a few interesting beasties found in the garden recently. I think the above looks like a Brindled Plume? 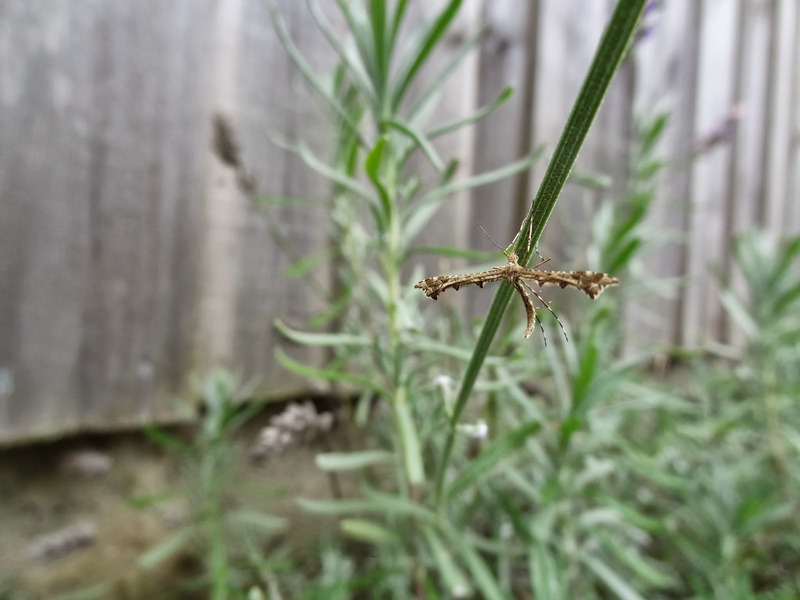 Also within a few inches of this plume moth, a Buff Ermine (I think) caterpillar was eating lavender. Does this sound like an out of the ordinary foodplant choice? Those two Amblyptilia are rather troublesome. It looks a bit brown for punctidactyla to me, so it could be acanthadactyla. Can you assess the scale tufts on the hind wing?